This may be the easiest tuna and pasta casserole you’ve ever made. 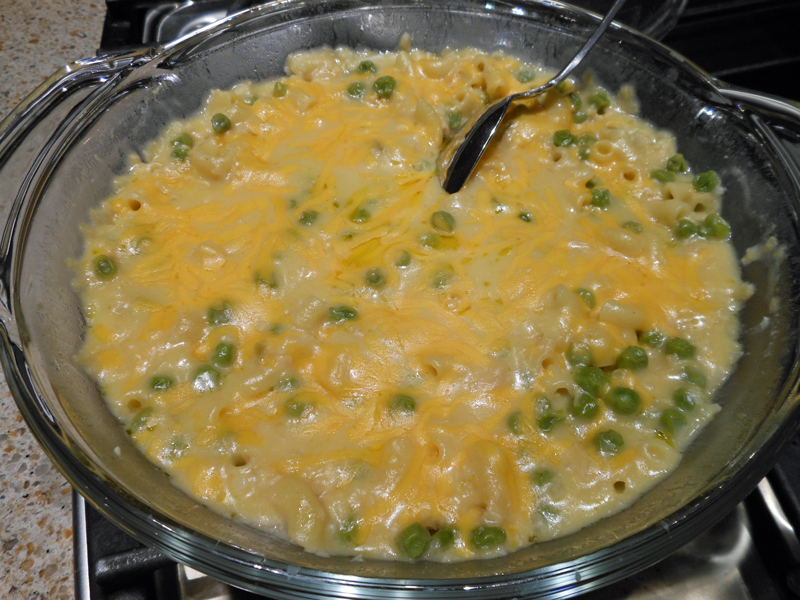 There’s no need to cook the macaroni… just mix, refrigerate overnight and microwave. Serve with a tossed green salad. Whisk soup and milk in a 2-qt. microwave-safe bowl until well blended. Stir in remaining ingredients except reserved 1/4 cup cheese. Cover and refrigerate at least 12 hours or overnight. Cover with lid or vented plastic wrap. Microwave on high 15 to 17 minutes until bubbly. Sprinkle with reserved cheese. Let stand uncovered 5 to 7 minutes until cheese melts.